The duo of Isabelle Duthoit (who also plays the clarinet but not on this recording) and Austrian trumpeter Franz Hautzinger, a couple also in their private life, has been playing together a great deal in recent years, including in a quartet with Czech trumpeter Petr Vrba and Austrian synthesizer player Matija Schellander (that recorded Esox Lucius, Corvo Records, 2015) and recently at Nickelsdorf’s Konfrontationen festival in the Uruk quartet with American drummers-percussionists Hamid Drake and Michael Zerang. 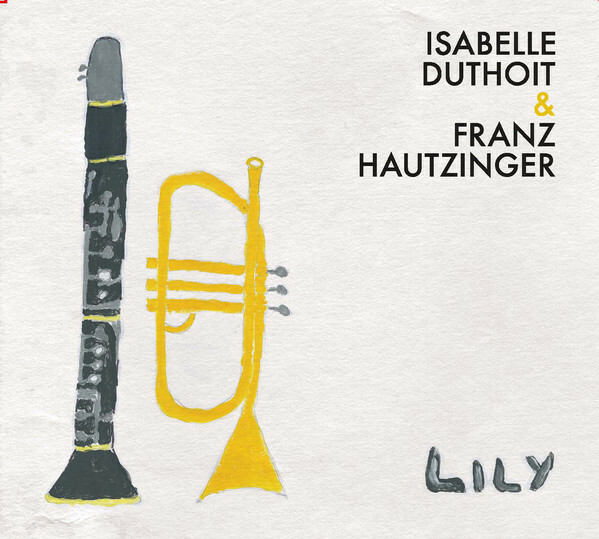 Lily is their first recording of Duthoit and Hautzinger as a duo and it compiles eight studio improvisations, recorded at Park West Studios, Brooklyn in March 2015 and a live improvisation, captured at Philly track Crossroads Music, later that month. 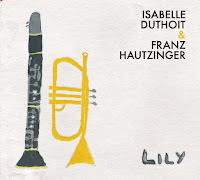 Lily is an intimate meeting, not only because of the personal connection between Duthoit and Hautzinger but more due to the emotional tone of this album. Duthoit and Hautzinger sound like opposites who attract and complement each other. She employs her expressive, wordless voice to suggest physically intense, deep emotional states of mind while he prefers a more reserved and introspective playing. She sound completely intuitive, totally possessed by her uninhibited, extrovert feelings while he adopts g a more cerebral sense of control. But such distinctions are eventually superficial. Duthoit and Hautzinger are strong-minded improvisers who like to take risks and experiment. Both know how sketch profound, fascinating sonic universes with minimalist, simple means. Hautzinger keeps developing on Lily his idiosyncratic vocabulary that translates reductive, electronic sounds to microtonal trumpet sounds, often using a quarter-tone trumpet to produce pure, abstract sounds and silent breaths. Duthoit spirals Hautzinger's abstract expressions into turbulent, ecstatic moods, with her immediate, natural stream of cries, groans, shrieks, gasps and whispers. Their interplay is simply telepathic - quiet, close and naked. Sometimes it is difficult to know who is doing what, Often both leap instantly between quiet, meditative expressions to cathartic peaks. On other times, as on the urgent “Un Serpent Dans la Nuit” or on the last, live playful piece, the only improvisation where Hutzinger references sounds of a conventional trumpet, Duthoit and Hautzinger sound like sonic lovers, literally, enjoying every second and every aspect of their unique relationship. The trio of Corringham with American percussionist Stephen Flinn and glass objects player Miguel Frasconi was formed in 2015 and is titled aptly after the old public gardens in Kennington, on the south bank of the Thames river, now part of London. 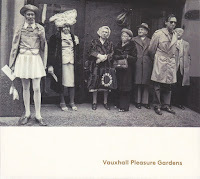 Listening to the debut album of this spontaneous-improvising trio, recorded at The Pencil Factory, Brooklyn in November 2016, may bring memories of an amusing trip to an enigmatic garden, full of weird, colorful sounds and visions. Corringham is a certified Deep Listening teacher, after studying with Pauline Oliveros, and has worked before with innovative percussionist as Gino Robair and Eddie Prévost and vocal artist Maggie Nicols; Flinn is a composer who searches for unusual sound sources, uses rhythms to teach positive communications and social skills and has performed before with innovative vocal artists as Phil Minton, Jaap Blonk and Nichols; Frasconi is a composer specializing in the relationship between acoustic objects and musical forms, playing also on electronics and constructions of his own design and has composed chamber music, operas, film and dance scores. The six untitled pieces explore different, unchartered terrains of strange and even strangers sounds and dynamics, with elegance and impressive senses of adventure and invention. On the first one Corringham vocalizations mirror and extend the subtle, free-associative stream of sounds of Flinn and Frasconi. The following improvisations are looser and more abstract, sketching detailed atmospheres with clear strokes of resonating sounds and a suggestive voice. The trio moves freely on these improvisations, offering on the third one an introspective and quiet texture and sparse sonic searches on the fourth one. On the fifth one the trio explores game-like ideas. Flinn focuses on fragmented berimbau-like sounds, Frasconi dives into deep-space sounds while Corringham offers her uninhibited stream-of consciousness delivery. The last, short one is the most playful and passionate one, like three mad sonic scientists make mad sonic love. Thanks for the reviews, especially the Corringham. 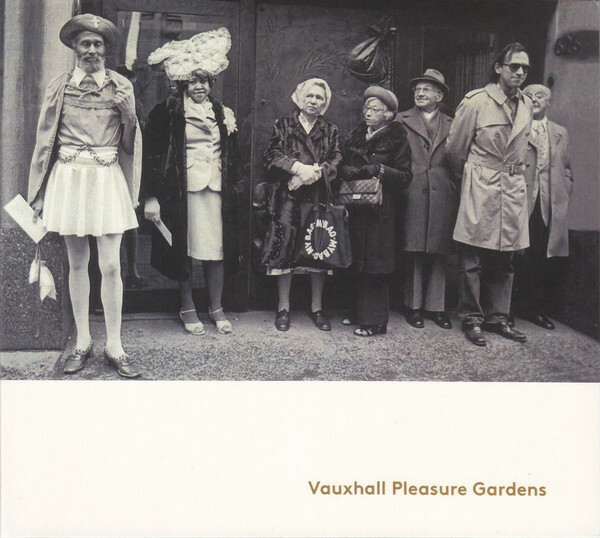 Just one minor geographical point, Vauxhall is in Kennington not Kensington - one small letter makes a few miles difference. Hi - text correct, thanks!